This may be San Diego State Basketball’s biggest win in program history. Kansas is among the most prestigious basketball programs in the country, in the same realm as Duke, Kentucky, and North Carolina. Kansas has what some consider the #1 Pick in the NBA Draft in Andrew Wiggins. But we all know that. San Diego State’s big men came up huge in this game. The combination of Josh Davis, Skylar Spencer, and J.J. O’Brien scored a combined 30 points with 32 rebounds. Even more impressive they were able to obtain 16 offensive boards. SDSU’s big men dominated the glass and played outstanding defense. Skylar Spencer had a career high 6 blocks. He is creeping up in the top 35 in the country for blocks per game. Xavier Thames was his loyal self with 16 points, including 4 clutch free throws to seal the game. Winston Sheppard added 9 points. The real key to this game was the defense. 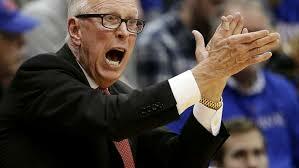 Steve Fisher has put together phenomenal defenses with varied players over his tenure as SDSU’s coach. With a whole roster of lengthy athletic players, Fisher has been able to maximize this 2013 team’s defensive potential. The Aztecs rank 1 in opponent FG% in the entire country. They also are 1 in opponent points per game. That is a crazy stat, but one you have to respect. In the first half alone Kansas field goal percentage was a pathetic 20.9%. Thats not a fluke. SDSU was playing persistent D and shut down the Jayhawks. They finished sub-30% from the field to finish the game. As I said before, this is a huge win for San Diego and they need to continue this momentum. After beating Boise state (in a scarily-close late game), there does not seem to be anyone threatening on the Aztecs schedule for the next possibly-8 games. This may be the biggest game the San Diego State Basketball program has ever had. It is by far the most important this season. 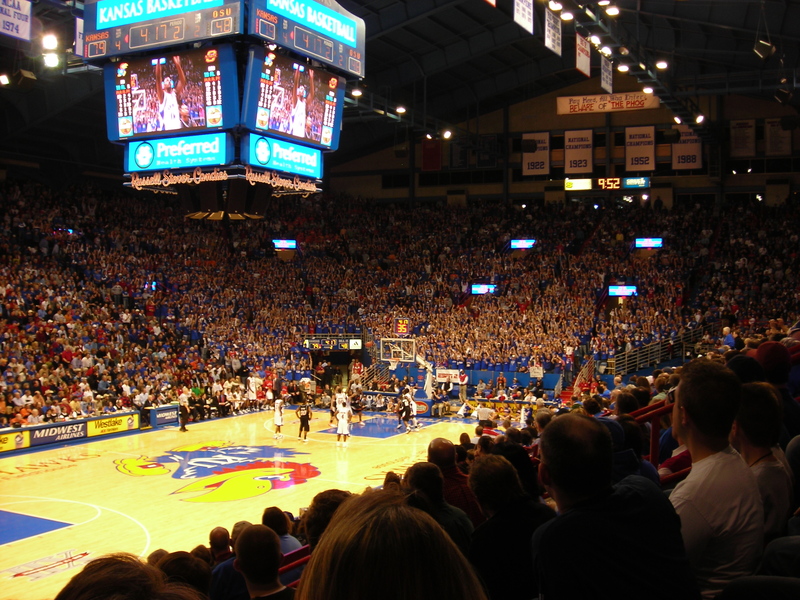 Kansas is ranked, among many, as one of the Top 5 Basketball programs in the history of the NCAA. They rank among programs like Kentucky, Duke, and North Carolina. They have been to the Final Four and won the tournament a few times in the last decade. #21 SDSU travels to #16 Kansas on Sunday for a huge matchup. At the beginning of the season, Kansas probably thought this would not be a Top-25 matchup. Many people wrote off the Aztecs from day one, and thats why I will continue to preach Aztecs lack respect. The key to the Aztecs success is their defense. Their defense has been outstanding this year, continuing the trend Steve Fisher has laid out in the last 15 seasons. The Jayhawks have arguably the best player in the country in Wiggins. He is averaging nearly 16 points a game, and still isn’t playing up to his capabilities. This will be a huge matchup and I expect Josh Davis to get some time guarding the star player. San Diego State is 23rd in the country averaging over 40 rebounds a game. This will be a huge matchup as the Jayhawks rank 6th in the country in field-goal percentage. Both teams are in the top 100 in points and field-goal percentage. The key for the Aztec’s success is finishing. As I said in the previous SDSU article, they need to finish. When they get stops and cause turnovers they have to finish with a score. They cannot give up possessions verse this elite scoring team. Kansas also ranks among the top 30 teams for assists while SDSU pretty much forgot about assists completely as a team. This is definitely a winnable game verse a good team, but the Aztecs will need to execute. Expect it to be a close game. If the Aztecs are going to win, Xavier Thames will have to have a big game and the SDSU big men have to dominate the boards.